As jiu jitsu’s popularity continues to trend upwards, more people are starting their own gi clothing line to cash in on this opportunity. Therefore, it is becoming more difficult over time for individuals to determine what brand and gi options work best for them. 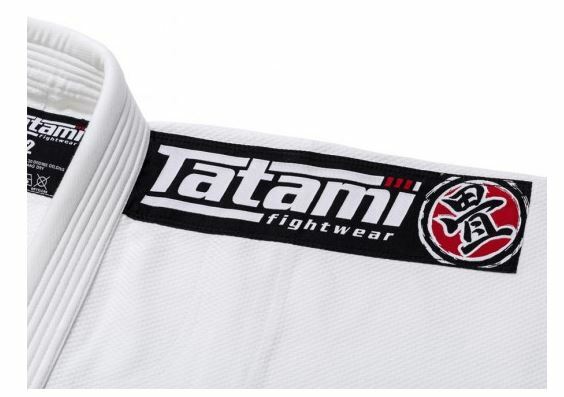 This article will give a detailed review of a beginner gi option from Tatami Fightwear named the Nova BJJ gi. 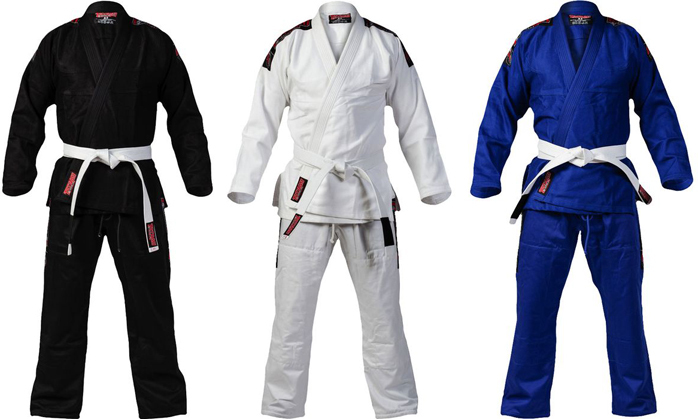 Tatami Nova BJJ gi is available in black, blue, navy blue and white. Fabric: The Tatami Nova gi is considered a lightweight gi with a jacket that is composed from a single piece of fabric that weighs 425 grams per square meter (GSM). Patches: The Nova jacket gi has a patch on each shoulder and a small patch on the bottom portion of the left lapel. If you prefer a more simplistic or plain gi, you can remove these patches. However, it will take some effort to get rid of them by yourself because of the double layer of stitches used to secure these patches to the jacket. Rubber Collar: The Nova gi's rubber collar prevents sweat absorption, provides resistance to bacteria and helps the collar dry out faster. 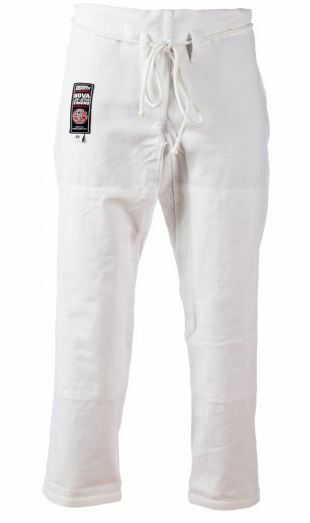 Fabric: The second part of the Nova gi consists of a 10 ounce twill cotton pants. Pants Patches: A patch with the Tatami logo and name is also present on each side of the pants legs. Another small patch is placed on the upper portion of your right thigh. Once again, these patches can be removed. Double Reinforced Knee Padding: An extra layer of fabric is used to strengthen the front of the pants leg and it runs from the middle of the shin to the thighs midsection. This extra layer consists of additional stitching to reinforce it. Rope Drawstring: Tatami designed the Nova gi pants to use a rope drawstring in place of a flat cord, which allows you to secure the pants around your waist comfortably. Some people believe the Nova gi’s drawstring is a bit too long. I found the length of my drawstrings to work well for me because it allows me to double tie my knots, which is great for decreasing the number of times I have to fix my pants during sparring and training sessions. Cord Loops: Nova gi pants only has two cord loops to tighten the rope drawstring around. There are other gi options from different brands that have their pants designed with more cord loops, which provides better secure points and distribution of the drawstring for tightening. The Nova gi comes with a free white belt, which is great for those choosing it as their very first gi. The following video gives a closer look at the Nova gi. Only note I would make is that the fabric weight listed in the video is 475 GSM instead of 425 GSM. I have worn the Nova gi with a rash guard, compression shirt and simply a t-shirt. I felt comfortable training with any of those options underneath my gi. This Tatami Nova gi is dramatically more comfortable to train in during the hot summer days than the other gi options I have used. I have worn gi from different brands and found my Tatami gi to fit my body type best. Since the sizing was great for my body build, I bought a blue Nova gi to use with my white one. I also enjoyed the Nova gi’s rope drawstring compared to my experience with flat drawstrings. One problem I had with the Nova gi, as I did with other brands, is the tendency for both the gi jacket and pants to shrink. Upon receiving the gi, it was a good fit but could have been slightly smaller for a snug fit. After utilizing my gi multiple times and washing them with my regular clothes, the gi sleeves and pants legs’ length became perfect for me. However, consistently doing this over time caused the gi to shrink smaller than the desired dimensions. To avoid this, I recommend washing this Nova gi in cold water and then hang drying it. It is important to check out the size chart for each brand of gi you are interested in since they may vary greatly in dimensions. Tatami has increased the number of sizes available for the Nova gi and has also created ones tailored specifically to female jiu jitsu practitioners. Even though the Nova gi is a lightweight gi that uses a less dense fabric, it is still a durable product with sturdy collars and seams. 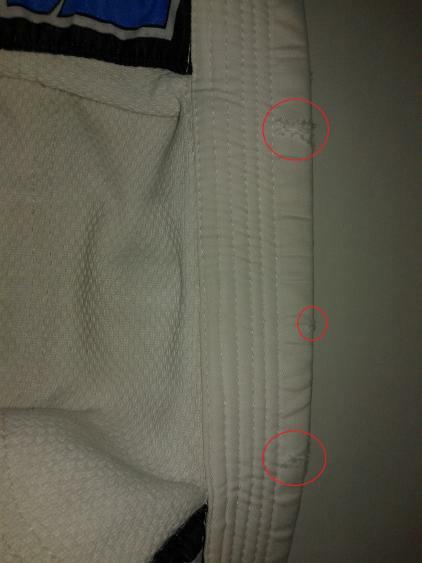 According to the product description, the Nova gi is “triple stitched across all stress points.” The stitching, especially in reinforced areas, have held up well for my gi. The only wear and tear on my uniform are three tears along the collar that are located directly behind my neck, which is shown in the image below. My blue Nova gi has minor tears along its collar too. The fact that these tears are the only sign of wear and tear is impressive when you consider I have owned both Nova gi for at least 2 years. These tiny tears do not have an effect on the gi’s performance and are not noticeable while I am training. The only other observation is that my blue gi’s colors are slowly fading over time. 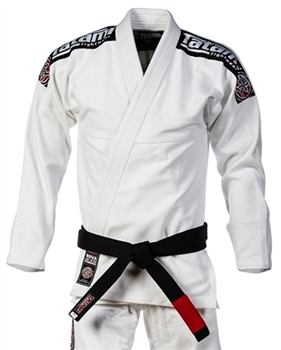 Tatami’s Nova gi is a budget friendly, starter gi that is priced at $90-95, excluding shipping cost. I would recommend all individuals interested in training jiu jitsu to consider this gi if they want a lightweight option that can withstand wear and tear. Plus, it comes with a white belt! For more options, check out our review article of the 7 longest-lasting BJJ gis.